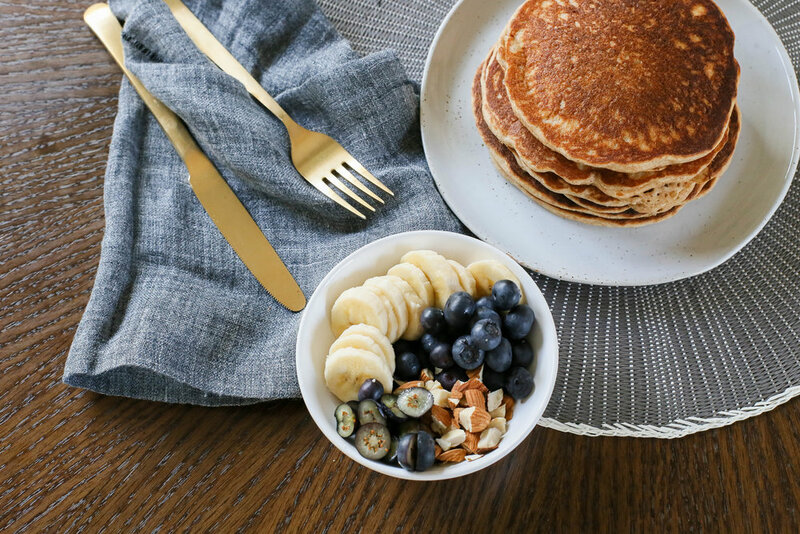 These whole grain and almond pulp pancakes are not only extremely photogenic, but they are delicious as well. I love these shots - the winter sun was perfectly diffused through the sliding glass door and Pamela's dining table made a wonderful, warm toned spot for shooting these pancakes! You can get the recipe here! We used linens and tableware from Pamela's personal collection. 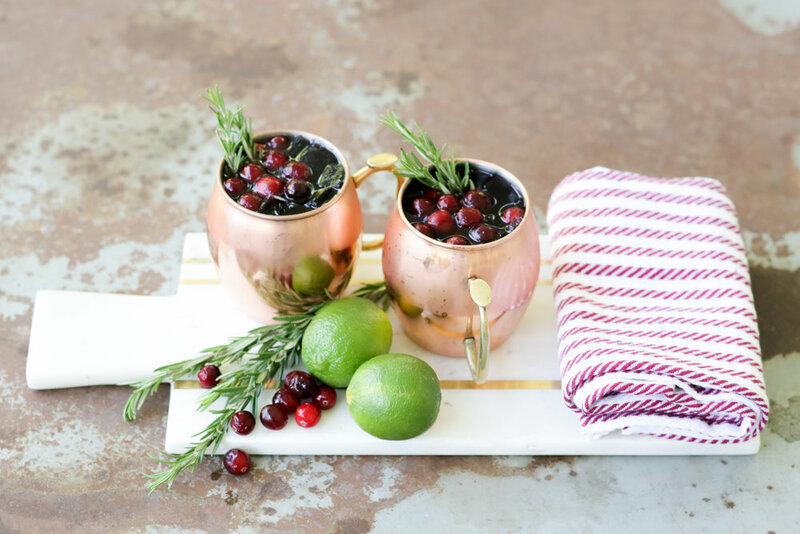 Molly Sims : Holiday Moscow Mule! Erica Hampton (RICA Blue) photographs Molly Sims for her latest post A CLASSIC MOSCOW MULE WITH A HOLIDAY TWIST. Being on set has it's perks, and when shooting blog content it's normal to schedule lots of different content to be photographed in one day. I was recently on set for MollySims.com with Pamela Salzman where I got to photograph some of the most delicious foods that I've ever put in my mouth! When photographing food I always prefer natural light and neutral accessories. I'm not a full time, food photography guru - mostly I do the best I can on a busy set. I've been learning so much and am open to suggestions, but so far these are my default strategies for photographing food. Lighting : natural, diffused light - think a dining area with big windows and indirect light or a patio with a roof, or even your garage with the door wide open....I've also used an alleyway between two buildings! Settings : low aperture for side shots to create a focal point, bigger aperture for "flat lays" to make sure everything is in focus - using your composition to create a focal point. Accessories : I prefer neutral accessories, but a brightly colored textile, or fruit can definitely spice up a photo - if you can steer away from lots of different bright colors, it's difficult to make that look appetizing. Fake It : Fake your food composition - if your final product looks like baby food you can prepare photos of individual ingredients, layer salads instead of mixing it all up, strategically place all your mixed ingredients together, or make sure your baby food is presented in a nice dish with a cute garnish and accessories. If you would like the recipe for this dish, STOVETOP CAULIFLOWER WITH POMEGRANATE MOLASSES, check it out on Pamela's blog. It's freaking delicious and you won't regret it! Portrait : Bluegrass Farm Life - Alexander and I brought Dylan along on our spring trip to the family farm in the bluegrass state. I rented a Fuji XT1 for the trip and captured portraits of the boys meeting the corriente bulls, the resident quarter horses and the house dogs. Dylan made fast friends with Elliot the blue healer, as Elliot is old and less rambunctious than the other dogs. Portrait : Whitfield - Erica Hampton took this portrait photograph Whitfield on his wedding day in Santa Barbara, CA.